Flexicare non drainable 2L bags provide a clean and safe method of urine drainage for both hospital and home environments. The Flexicare F2 bag is a high quality collection bag that is simple and easy to use, assuring confidence to clinicians and comfort for users. 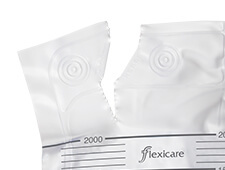 The Flexicare F2 bag has a simple and easy-to-use tear mark which can be used to open and drain the bag when needed. After use, the bag can be easily disposed of making the F2 an ideal bag for use in both hospital and community settings. 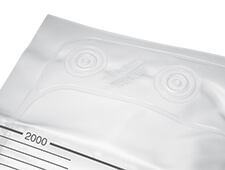 All Flexicare urine drainage bags are fitted with a non-return valve (NRV) as standard which are designed to allow low pressure drainage in one direction while preventing all flow in the opposite direction, protecting against ascending infection. 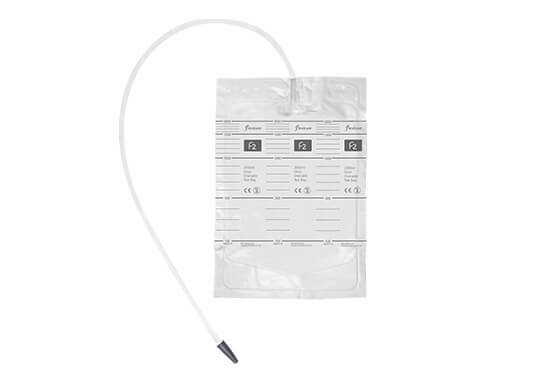 The stepped connector is easily inserted into any catheter or sheath and provides a secure connection that will withstand the most vigorous user activity.